Psst, Santa is here! 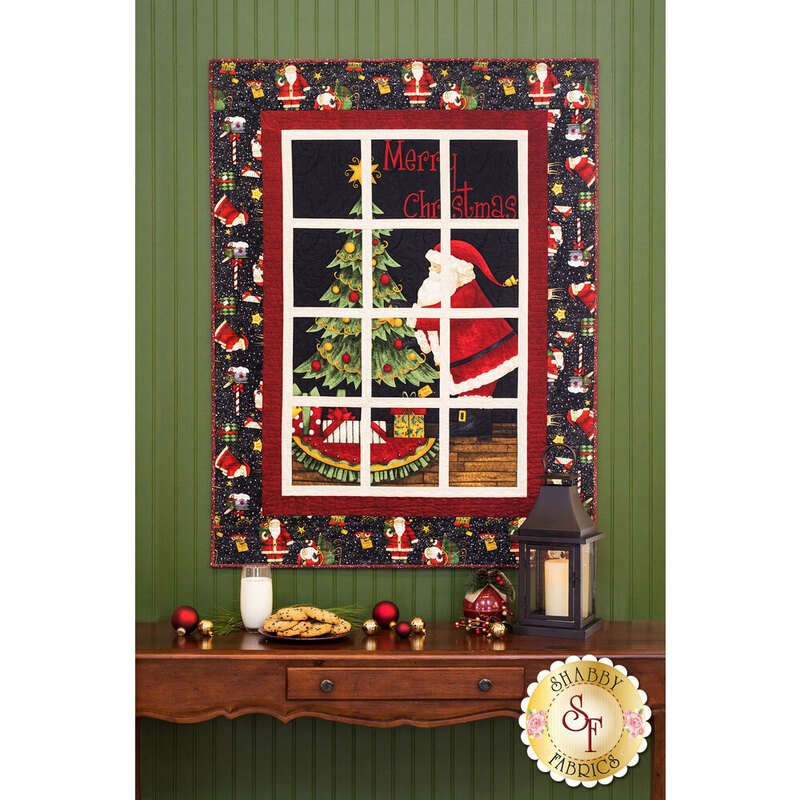 Peek through this wonderful quilted window and catch a glimpse of Santa placing presents under the Christmas tree! 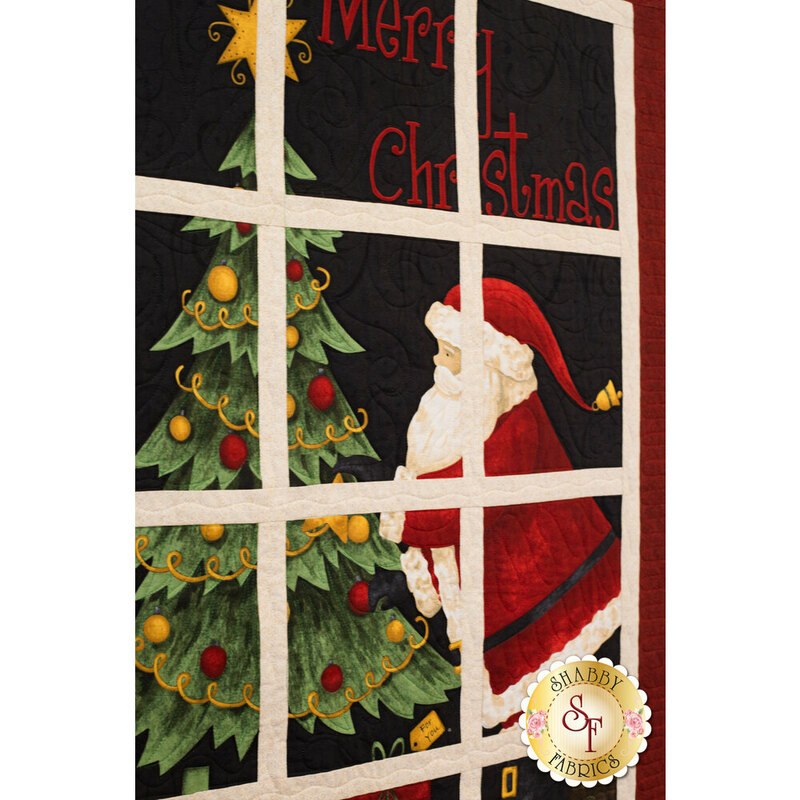 This darling quilt is created with a beautifully colored panel and simple borders. 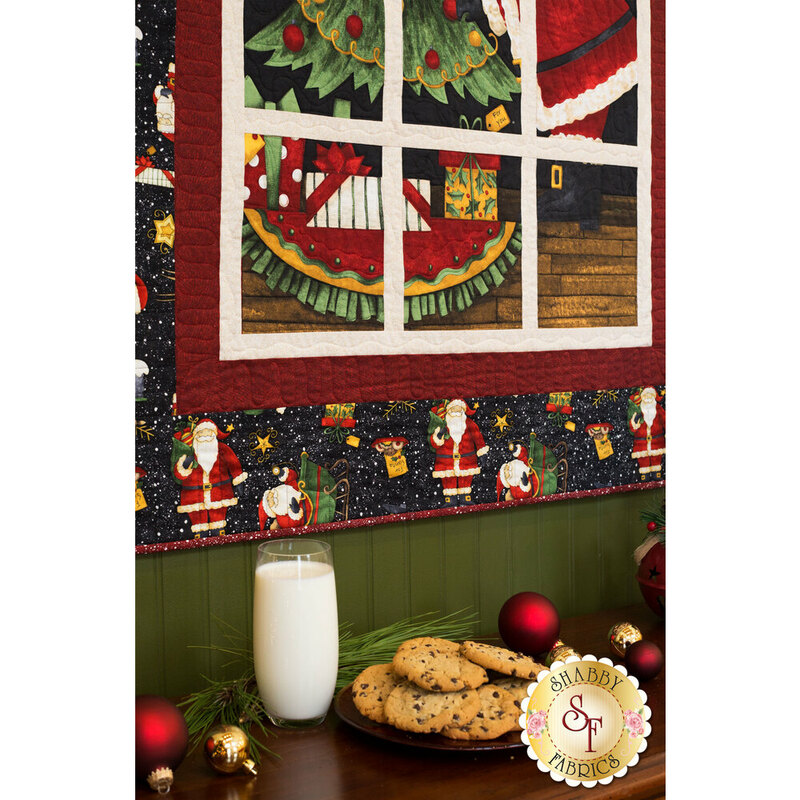 Bring the magic of Santa Claus to your home with this delightful quilt kit! Quilt finishes to 39" x 51". This kit includes instructions and fabrics to complete the quilt top and binding. Be sure to add the coordinating backing available below! Add the Olfa Splash Rotary Cutter and the Creative Grids 6½" x 12½" Quilt Ruler below to help with your precision measuring and cutting! Add the Magnetic Pin Caddy and Patchwork Pins below! These basic notions are essential tools for any sewing project!